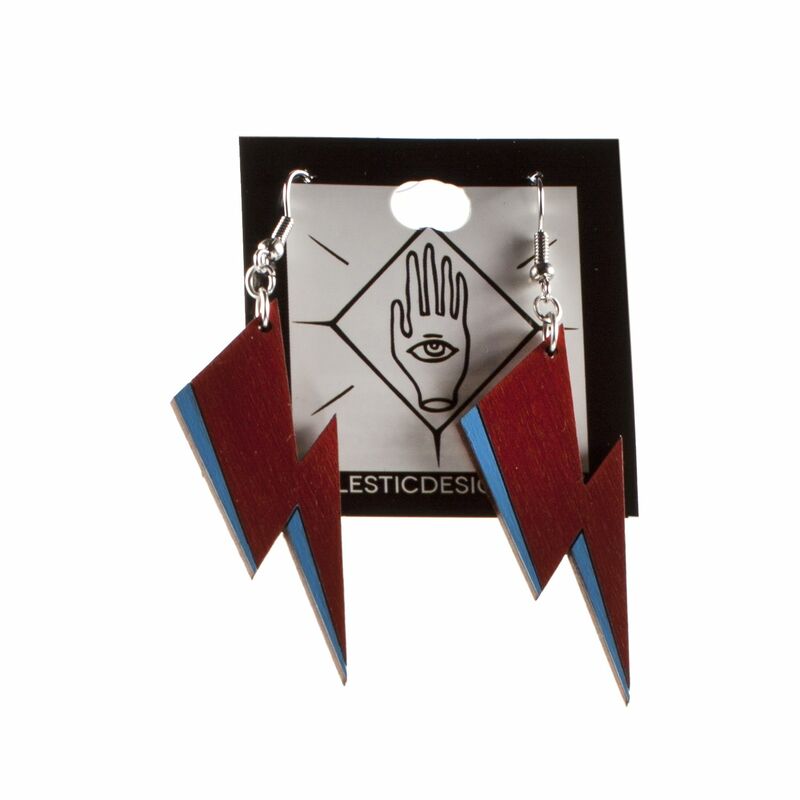 Bowie bolt shaped dangle earrings made by Telestic Design here in Kansas. These earrings are made from birch wood and are light-weight. Approximately 1 3/4" x 3/4".